This is part of a series of posts showing you all the different ways you can approach the Cambridge Delta. They are designed to help you find out more about the course and what it involves, as well as helping you to choose the right way to do it for you, your lifestyle and the time you have available. If you’ve done the Delta (or any other similar higher-level teaching course, including a Masters), and you’d like to join in, let me know by leaving me a comment or contacting me via Twitter @sandymillin. Jenni started teaching in Poland in 2014 following a CELTA from British Council Krakow. She moved back to the UK two years later as she found love during her Christmas holiday back home. She then spent time teaching in language schools and summer schools in the UK. In 2018, she completed her Delta and currently works as an online tutor and course developer. She enjoys an #eltwhiteboard and tweets @jennifoggteach. How did you do your Delta? How did you arrange the modules? I did an ‘intensive’ Delta, where the course runs over 15 weeks and the modules are completed concurrently. At Leeds Beckett (formerly Leeds Metropolitan) University, you work towards completing an internal qualification – a Postgraduate Certificate in English Language Teaching and Professional Practice, which prepares you for your Delta and counts towards it (the internal LSAs are part of both qualifications). You prepare for the Module 1 exam through a series of workshops and homework tasks as well as taking a full Delta-style exam in exam conditions. This counts towards your PG Cert. and acts as a Delta mock. The module 2 preparation included weekly sessions with advice on writing LSAs and background essays. The work you submit becomes part of your portfolio for both Leeds Beckett and Cambridge. In module 3, there were deadlines throughout the semester for each section, with the view that the whole piece of work is completed within 15 weeks. We then gave a 15-minute presentation on our specialism. This was interesting as we got to learn about other specialisms and could see how people approached them in different ways. I really wanted to do a course quickly as I found that teaching positions in the UK were generally low-paid and there was little chance of promotion without a Delta. I was already living in Leeds, within walking distance of the university, and was teaching part-time in a local language school, which meant I could teach my own class for the LSAs. It made sense to take this route. I also found the PG Cert. attractive, as it meant I could put this on my CV while I was still waiting for the results of the Delta. What do you think you gained from doing the Delta? I really enjoyed reading more about SLA [Second Language Acquisition] and feel I benefited from the further reading in general; this is something I couldn’t find time to do before the course. It also made me a more reflective teacher and I now take time to consider why I have planned and structured a lesson in a certain way. I also really enjoyed all the opportunities to observe my peers and teachers online. This was a great way to discover effective new ways to teach. The intensive nature of the course meant that we bonded quickly as a class and I made several close friends. 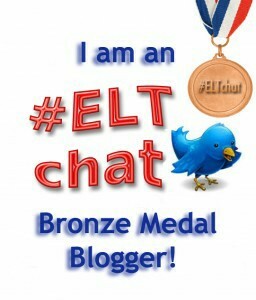 It also gave me confidence to become more present in the ELT community on Twitter. What were the downsides of the method you chose? It was absolutely exhausting. Doing the course in 15 weeks whilst teaching at the same time was the hardest thing I’ve ever done. It meant very early starts and late nights with every waking minute focused on reading, writing or lesson planning. The deadlines across different modules often fell on the same day too. It required insane organisation! Also, because I wasn’t working full-time, I didn’t earn a lot of money throughout the course. I had to manage my money carefully (but really didn’t have much opportunity to spend it!). What were the benefits of the method you chose? From starting the course to achieving all three module certificates took 11 months. The course took place from the end of September to the start of January. We sat the exam and submitted Module 3 in June and then had to wait for the results. As we received our PG Cert. soon after the start of the year, we could put this on our CV in the meantime, which meant I managed to get a Director of Studies job in time for the summer, despite not having my Delta results yet. What tips would you give other people doing the Delta? If you choose to do the Delta this way, you will need to become an organisation master. I used Evernote for general to-do lists, storing my notes, saving useful websites and making sure each notepad was correctly-titled and saved in the right place. I also printed an A3 calendar where I wrote all my deadlines down and what work I needed to do each day. Deadlines tended to creep up on me so I needed an easy reference to see where I was up to. I tried to use my weekends effectively, spending most of one day in the library, and spending the other day relaxing, cleaning, seeing family and doing some bulk cooking for the week. Thankfully, my lovely boyfriend cooked a lot during the course, which stopped me from getting scurvy. I would also recommend doing as much work as possible before the course starts, both doing some preliminary reading from a Delta reading list (there are lots online) as well as reading about how other people approached it – this is a good place to start! How much time per week would you estimate you needed to spend working on the Delta in the format you chose? In this intensive course, it was a lot. I turned on my laptop to start working between 6-7am and finished around 10-11pm. We had lessons at the university from 12-5pm on Mondays and Fridays and I taught in the afternoons on the other three days of the week. I don’t want to work the number of hours out! Jo got her BA way back in 1994 in Christchurch, NZ, with a double major in Linguistics and Education, knowing that she wanted to teach English. After gaining the Trinity CertTESOL, she began teaching in Christchurch at various English schools. 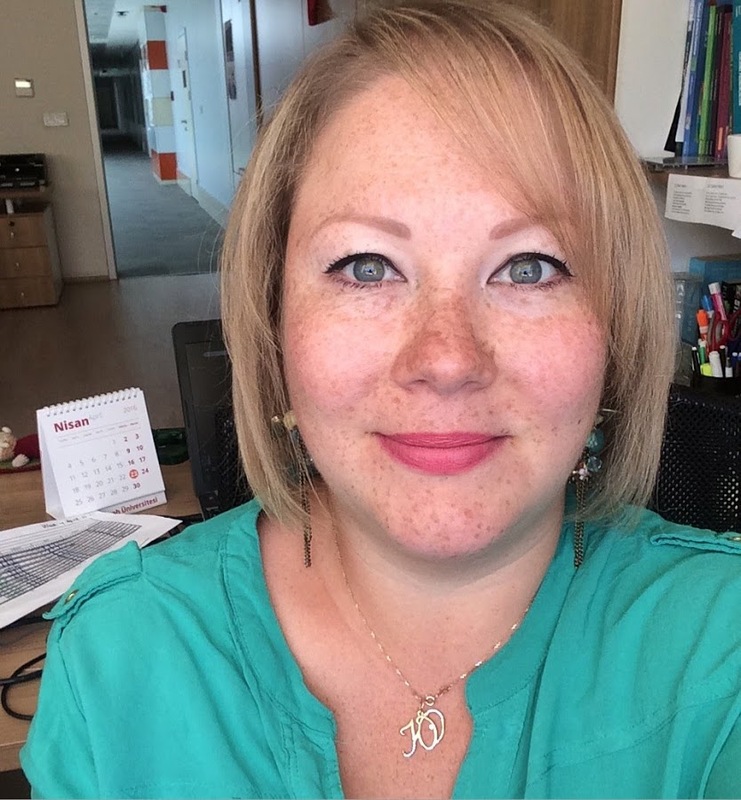 Although she changed careers a couple of times, she always knew that teaching ESL was what she wanted to do, so finally in 1999, she took courage and left for a year’s teaching in the Czech Republic. While travelling, she met her husband, who is Italian, so moved to Italy, where she has been living and teaching ever since. She began the Delta in 2010, and finally completed Module 3 in 2016. 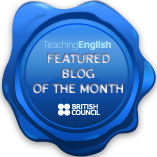 After six years as a primary school teacher in a small international school, she has just moved to a DoS role at a local English school (and has started a blog about it), while maintaining a part time role as primary coordinator at the primary school. She’s about to begin an MA in TESOL, Leadership and Management. I did the Delta part time, and all three modules were done through International House Accademia Britannica in Rome. I did them in order and think that was very helpful, as it moved from the theory to the practical, and then putting it all together in Module 3. Module 1 was blended online. There was also an online-only option, but I wanted to meet the people with whom I was studying. We were divided into study groups in a WikiSpaces classroom and met face-to-face on a Friday for input sessions about theory. We studied mock exam questions and prepared for the exam itself. Module 2 was again part time and blended, with the face-to-face sessions on Fridays. We had input sessions in the morning, and then teaching in the afternoons. We worked in TP groups both online and at the centre. A face-to-face course was also arranged for Module 3, which I attended, always part-time and always on a Friday. We looked at each part of the extended assignment, and began to draft our Extended Assignment (EA). However, after the course finished, it took me another 3 or 4 years to get my EA completed and submitted (oops). I had just completed the IH Certificate in Teaching Young Learners and Teens (IHCYLT) at the same school, and I really liked my colleagues and the tutors. As I knew that a couple of people from the YL course would be going on to do the Delta, I decided to join them. Rome is not very far from where I live (it took about an hour and a half each way), and my employer was flexible and happy to give me Fridays off to study, so it was a good fit all round. Doing it part-time also meant that it wasn’t such a financial burden, and I had enough time to dedicate to it, even though I was working almost full-time, and I had two small children. I probably put in about 2-3 hours of study each day during the week, then intensive study face-to-face. The M3 EA took a lot longer than it should have because I changed jobs between Modules 2 and 3. Oh, so much! 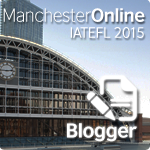 A much better grounding in the theory and practice of ELT. An understanding of the research that goes into the theories – and a desire to keep learning. The confidence to experiment in the classroom. The desire to conduct action research with, about, and for my students. My M3 EA was about CLIL [Content and Language Integrated Learning] with young learners – which has led to a key role in an Erasmus+ project about that very subject. The Delta has also opened doors and has led to a move into a Director of Studies position, and teacher training. I really don’t think there were any. It was a great balance of tasks online, and face-to-face workshops. It was intense, but doable. I was able to combine it with work. I met people who were doing it at the same time and developed lasting relationships with them. The extended timeframe meant that I could get all the reading done (mostly). Get your hands on a reading list as soon as you start thinking about enrolling and start working your way through it! Make notes and mind maps about everything. 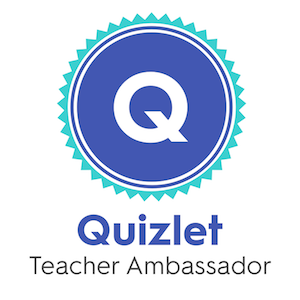 Use tools like Quizlet (where there are already many Delta M1 quizzes) to help you memorise the definitions of all the terminology. Start watching teaching videos online with a critical eye, in preparation for M2. And start thinking about your EA very early. I don’t think there is much I would do differently except: study a tiny bit harder for M1; choose anything BUT a listening lesson for my final TP (the one where Cambridge is watching) – or else, use commercial materials instead of trying to make my own (ugh – lucky I passed!) I was going to say “spend less time fretting over M3” – but I chose something relatively unexplored and with hindsight, I am glad it took me as long as it did, because the end result is something of which I am very proud. I am even thinking of squeezing in another M3 EA, this time with the ELTM specialism! That’s doable, right? Jim Fuller began his TEFL career after taking his CertTESOL in London in 2014. From there he moved to Italy and taught for three years, in which time his interest in developing further in ELT was piqued and so he began his Delta. He now lives in Almeria, Spain and works at McGinty School of English as the Head Teacher Trainer. Always looking to develop further, Jim is also currently taking his Masters in TESOL and Applied Linguistics. Jim blogs at https://spongeelt.wordpress.com/. How did you do your Delta? My Delta began in 2016. I was working in Bologna, Italy, and had decided that I wanted to make a career out of ELT and Delta was, in my mind, the next logical step. I took Module 1 first, followed by Module 3 and then finishing with Module 2. For Module 1, I completed a preparation course as I really had no idea what to expect – thankfully I did! And Modules 3 and 2 were both done via distance. How did you arrange the modules? Why did you choose to do it that way? I completed Delta this way mainly due to course timings. The Module 1 course started about four months before the exam. Then, I wasn’t able to go straight onto Module 2 because I had planned to move to Spain, so I did Module 3. Once I arrived in Spain, I took Module 2, starting in September and finishing in June of the following year. Whoa! Big question. I believe there are two ‘main’ gains from Delta (among many). Firstly, a much more refined awareness of my teaching and how it affects learning in the classroom. Prior to Delta, I can say that I was a good teacher, but I had no idea about why I was doing something and what the possible advantages and/or disadvantages might have been. Secondly, the philosophy of reflection. Delta, especially Module 2, requires that you be reflective, and, in my opinion, it is this reflection that brings about the most change! So, it’s not enough to just be reflective whilst doing Delta… you need to continue post-Delta (Delta gets you into a good rhythm of reflective practice). Well, I think that even though the modules can be taken in any order, there is a clear advantage to doing them in order. When I finished Module 2 and looked back at my extended assignment for Module 3, I noticed a lot of things that I would have changed had I done Module 2 previously. That being said, a lot of the research I did for Module 3 came in handy for Module 2! Doing Delta via distance is somewhat daunting for some candidates because it is a long commitment. However, this time that you have enables you to trial techniques, methods, activities, etc. in class, and then reflect on them and how they could be used in either Delta or normal lessons. I would not have liked to do the intensive Delta simply because I have thoroughly enjoyed being able to experiment, research and then draw my own conclusions over an extended period of time. Each to their own, though! What would you change if you did the Delta again? Start reading early, but be selective with what you read. There is so much information and interesting stuff in the books you are likely to read, and it is very easy to get sucked down the rabbit hole. Just be cognizant of the time you are spending reading certain parts of certain books. I usually preferred to read the ‘conclusions’ or ‘final comments’ sections first as these usually contained summaries of the chapters, articles, etc. Clear your schedule while you are studying. You will be studying for anywhere between 10 – 25 hours a week over the course of your Delta, so the fewer distractions or unnecessary commitments you have the better. Listen to your tutors. These guys have mentored and tutored candidates time and time again and they are a wealth of knowledge. Speak to other candidates, both past and present. Delta automatically creates a community of practice with lots of people looking for and/or willing to give advice. There are many places you can find (or give) help – Facebook, online forums, etc. Don’t be afraid to try new things. There is no one way to do Delta – this includes doing the LSAs [Module 2 assignments], etc. There is a phenomenal amount of choice allowed (sometimes the hardest thing is deciding what to do), so don’t be afraid to try something new. Have fun. Delta can be arduous and tiresome at times, but you need to make time for little celebrations to ensure that you stay (relatively) sane. So, finished that background assignment? Have a glass of wine! Finished reading that chapter about cleft sentences and you’ve finally understood what the author was talking about? Sit back and relax for a bit! Iza has been an EFL teacher for 9 years. She has an MA in English Philology and did her CELTA in 2011 at IH Katowice where she worked as a senior teacher for 5 years. She has also been teaching EAP at the University of Birmingham. She completed her Delta between 2015 and 2017. Recently she has been juggling the jobs of a freelance teacher in Poland and a teacher trainer on Cert TESOL courses in Spain and Italy. I did Module 1 first, then Module 3 the year after and then finally Module 2. I chose this order mainly because my friend motivated me to do Module 1 as she found it quite enjoyable. I guess I was also trying to put off the most difficult one as long as possible (don’t ask me if that’s the right way to do it). I did Module 1 and 3 on my own, i.e. with no course and no tutors. For Module 3, I had two supportive colleagues – one who is an expert on EAP, which I chose as my specialism and the other one who proofread my assignment checking for what Delta examiners expect. I was very lucky to work at IH Katowice at that time as they had quite a wide selection of methodology books. I did Module 2 online, which means all the assignments were discussed and submitted via Moodle, but I had a local tutor who observed my lessons. I think starting with Module 1 is the best way to do it as you gain a lot of theoretical and practical knowledge that comes in useful when you complete the other two modules. Working on my own saved me both time (there was a weekend Module 1 course but it was a 3-hour drive from my home) and money. It was mainly due to my two friends (thanks Zuza and Kate) who said that with the right amount of determination and self-discipline, I could do it myself. And I did! Doing module 2 online was not my first choice but a necessity (lack of places on the course in Warsaw). However, it worked out all right in the end. The Delta has made me much more analytical and reflective when it comes to my own teaching practice. I choose and plan the stages of my lessons more carefully now and look at the learning process more from the learners’ than the teacher’s point of view. Obviously, you have to read a lot but that means that you get to know many different approaches to language learning. Having done that, I feel more confident as a teacher trainer and pay more attention to CPD. Finally, it also gave me an opportunity to work on such aspects of TEFL as testing, course design or materials writing (which you might not always have the chance to do if you work as a teacher but which might be necessary if you want to move on to a more senior position). I personally think it is quite a door opener – I really enjoy being a teacher trainer – a job I wouldn’t be able to do if I hadn’t done my Delta. Doing Module 1 and 3 on my own required a lot of determination and good time management (well, I guess Delta always requires that, doesn’t it?) I had doubts and sometimes I thought it would have been nice to have someone who could help me deal with them. I also didn’t get to take a mock for Module 1 which I believe would have been very useful, especially in terms of time management in the actual exam. As to Module 2, I was worried that not having a face-to-face contact with my tutor, getting delayed responses to my questions and having very little support from peers would be frustrating. Luckily, the online mode turned out to be a really convenient way of studying (see below). I saved money and commuting time, that’s for sure. Being able to do things at my own pace from the comfort of my home made the experience a bit less stressful. For Module 3 I also started working in the summer for my December submission; that gave me extra time for reading, needs analysis, etc. My Module 2 tutors were very efficient when it came to online communication. Also I got to teach groups I already knew which made writing learner profiles and anticipating problems easier. In addition, this module was quite intensive as it was a 3-month course. Even though it might sound like a downside (especially if you work full-time), it actually means that you give up your life for 3 months only, get it done with and then forget about it! For Module 1, do a lot of past papers. Clearly, you need to do your reading too but you also need to know exactly what the Delta examiners expect. Also pay attention to the new format – it’s not ‘write as much as you can’ anymore. There’s a certain degree of repetition in the answers you can give. Obviously, don’t copy them mindlessly but take advantage of that (e.g. you could make a list of all features of parts of speech you need to include in the language analysis task). For Module 2, make your life easy and choose these areas of language you feel most confident about. I chose the easiest area for my first LSA, as passing this one took a lot of pressure off me. There’s not much point reading intensively before the course; focus on the specific areas you are going to cover in your LSAs. Also set yourself a realistic work plan and stick to it! For Module 3, choose a specialism that you have already worked in and you know something about. In addition, make sure your tutor is actually an expert in this specialism. And stick to word limits (this applies to Module 2 as well) – it’s not worth losing points here. For all of the modules, I would say be prepared for hard yet very rewarding work. Read the handbook carefully and get support from others (blogs, colleagues who have done it already, tutors, peers). Very soon, you’ll be done with it and you will be able to reflect on the whole experience and notice the benefits. And finally, do go out sometimes, assuming that you want to stay sane! 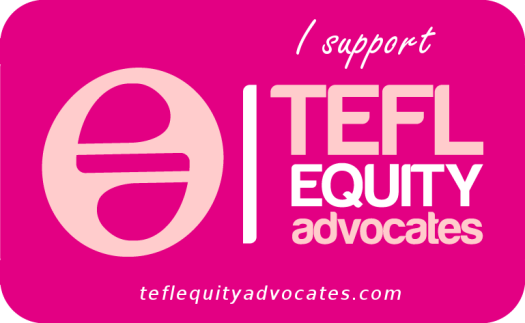 Kirsten Colquhoun qualified with a TEFL certificate in 2003. Since then she has taught in Thailand, China, Spain, England, Qatar and South Africa. She did her Delta while teaching in Cambridge in 2009. Now she is back at home in Cape Town, working as a TEFL trainer, writer, materials developer and blogger. She blogs on teaching at www.jellybeanqueen.wordpress.com and on parenting at www.birdandthebeard.com . To be honest, I didn’t really know much about the Delta before I started it. When I finished my Master’s degree in English and Applied Linguistics I knew that I wanted to continue studying but something more directly related to my teaching. My Master’s was amazing and gave me a great background to language learning and languages in general, but I wanted to learn more about the practical side of teaching, which led me to the Delta. So I did Module 2 first. I was living in the UK at the time and I realized that I could do Module 2 in Europe for cheaper than in the UK – and I’d be living in Europe! I’m South African, so that’s a big plus for me! I applied to International House Barcelona and was accepted after a horrendous interview (tip: be prepared. This is not for fun and games). That was 8 weeks full-time. I did Modules 1 and 3 independently afterwards but at the same time. I was lucky enough to be able to afford Module 2 full-time and because the course was in Spain and my job was in Cambridge it was never really a question of doing both at the same time. When I went back to Cambridge I had to go back to work which is why I decided to do the other 2 modules independently. I didn’t realise you could do online courses to get help but I managed ok without. If I remember correctly, I started both modules in August and they were both due in December, so I reckoned I had enough time to work and do both. I basically just wanted to get them over and done with. So much. It’s difficult to put it into words but my whole attitude to teaching changed. Something in my teaching shifted and suddenly things started to make sense to me. It was probably a combination of all the theory I had become aware of and the recognition and acknowledgement of my teaching ability – my knowledge had increased but so had my confidence. Doing Modules 1 and 3 independently was probably harder than it needed to be. I passed both (Module 1 even with Merit) but I feel I could’ve done better if I had had more guidance. I really had no idea what I was doing! Doing Module 2 full-time was the best decision I could’ve made. I had the best time living in Barcelona – I mean, who wouldn’t?! – but I had the freedom of time to really sink into the reading we needed to do, think about my lessons and connect with the other students on my course. Doing it full-time also meant that the whole experience was condensed which really helped me focus. Do as much of the reading beforehand as you can so that you are as prepared as possible before you begin. Do one module at a time so you can focus on it without worrying about the others at the same time. Find a mentor to give you guidance. This can be someone you know who has done the Delta before or someone from a course provider – you don’t need to reinvent the wheel and it’s useful to know exactly what’s expected of you. In retrospect, what would you have done differently? Taken more time. I felt I needed to do all three modules as quickly as possible. Working full-time became a nightmare, so there were a few weeks when I cut my hours so I could put more time into my Delta. For Modules 1 and 3 I think I was doing maybe 3 to 5 hours a day, so say about 15 – 20 hours a week. It was really difficult with work because some days I would have more time than others so my weeks were never the same. James studied French and Spanish at university before teaching in Spain for four years, during which time he completed the Delta. In 2016 he moved to Riga, Latvia to work at International House, where he is currently an ADOS. He blogs at https://jamesegerton.wordpress.com/. I hopped around a bit: 1-3-2. I first heard about Delta when attending an informal meeting of teachers from several different academies in May 2014 in Albacete, Spain, with the aim of training each other for the Module 1 exam in Madrid that December. We dished out several books each to look at over summer and did a couple of seminars together that September, but once the full whirlwind of term came through again it was clear our regular meetings and study sessions just weren’t going to happen, and the group somewhat evaporated. Several excellent blogs – Sandy’s [thanks!] and Lizzie Pinard’s in particular. Past papers and combing through the corresponding Examination Reports for improvements. We took the Module 1 exam in December 2014. Following the exam, we sat down with the head of teacher training at IH Madrid to get more information on how to go about taking the remaining two Modules, and I completed the Module 3 essay between January and March 2015 as a distance learner with IH Madrid. This involved regular e-mail contact, including draft edits, and only one train trip up to the capital to borrow some books I needed and speak to my supervisor face-to-face. Finally, I did Module 2 at an intensive course at IH London in July and August 2015. It was a sustained attack on the brain for 6 weeks, but that’s how it had to be (see next question)! Albacete is a small city, with the nearest Delta centre a couple of hours away in Madrid, so physically attending a course regularly just wasn’t compatible with the work schedule I had. Nor did I want to stop working full time to take the qualification, although I had to extend my summer break a little to squeeze in 6 weeks for the intensive Module 2. It was also important for me to get it done as soon as possible, as once I’ve started something I prefer to ride the wave of momentum until finishing, and 1-3-2 was the quickest route available. Without overstating it, it was truly a fork in the road for me. Overall, the Delta marked the point that I stopped looking at being in ELT as a short-time teaching job (year to year then see how I feel each summer) and started considering it more as a career with the possibility to develop. Academic management – I went back to Albacete to work as a Director of Studies for our small two-centre academy in 2015-16, then started applying for jobs in the new year with the Delta sitting on my CV, which opens a lot more doors. I got a job as Senior Teacher at International House Riga, and am just starting my second year here, this time as Assistant Director of Studies. Working at IH has in turn opened many more doors, but that’s a story for another day. Teacher training – This started in-house, and thanks to the Delta I got fast-tracked and have recently qualified as a IHCYLT [IH Certificate in Teaching Young Learners and Teenagers] course tutor. I’d eventually like to become a CELTA trainer when the opportunity arises. 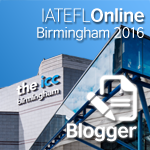 Joining IATEFL and connecting with colleagues from around the world. It was hectic at times! Studying Module 1 alongside work was a relatively gentle introduction; doing Module 3 alongside work meant plenty of early mornings, late evenings and studying at weekends; Module 2 was the knockout punch just at a time of year when I needed a break. It was over in a total of 10 months. This meant that I didn’t have time to forget much, and the definitions and technicalities from Module 1 came in very handy for Modules 3 and 2. I was also able to earn and learn simultaneously (except for Module 2), so although my head took a pummelling, my bank account stayed in the black. Don’t expect it to be fun. It’s useful, challenging, interesting at times, but ‘fun’ isn’t an adjective I’d ever use. Climb the mountain in sections. Plan ahead, sure, but focus on your next tasks. I saw many people get overwhelmed at the enormity of the task, which either resulted in meltdowns or worse, dropping out. ‘By the end of the day I will have…’ is more than enough, especially during any intensive courses. Be organised. The previous point just won’t work if not. Be resilient. The Module 1 exam might not go so well first time, your teaching techniques might be pulled apart in Module 2, your essay draft might need a complete reconstruction in Module 3. There are plenty of speed humps; the key is to keep going! If you have any further questions, feel free to get in touch at james.egerton@tiscali.co.uk. I did Module 1 and Module 3 (in that order) online with ITI Istanbul and Module 2 was a blended course with AVO Bell in Sofia, Bulgaria. I was working full-time teaching English at an intensive English program at a university and there were no Module 2 courses (or indeed, any DELTA courses other than online ones) where I was living at the time so I went with the online option for Module 1 and 3. In addition, I needed a course that I could fit around my schedule. As far as the next step Module 2, the course that AVO Bell offered was a bit shorter than other courses out there. Due to the fact some coursework was done long-distance prior to the beginning of the face-to-face portion of the course (namely, EPA and LSA1), the course itself was only 5 weeks long. Since I was limited in how much time off work I could take, that decided it for me. The biggest thing for me is probably both the bigger picture and the detailed understanding of SLA (second language acquisition) I gained – that is, what it takes to learn a language and how we, as teachers, can help our students do that. I definitely feel I am better equipped to help my students choose the best strategies for learning and understand why things happen in a certain way. For example, when students ask me why it’s so hard to understand native speakers, rather than give a vague answer, I can now tell them about connected speech and how it affects pronunciation and what some strategies are for coping with that. Writing longer assignments and lesson plans for Module 2 and 3 definitely helped me improve my research and academic writing skills and, as a result, get better at writing conference proposals and presentations. Teaching all those observed lessons and writing post-lesson evaluations taught me about the value of reflection and self-evaluation and that regardless of how long you`ve been teaching there’s always room for improvement. Is there a word limit for this? Because I have more! DELTA gave me the confidence to teach Russian (my native language) as a foreign language. As native speakers of English can attest, teaching your own native language isn’t always easy, but I realized that everything I learned about methodology, designing courses and planning lessons in ELT can be readily applied to teaching another foreign language, namely Russian. In addition, most importantly, doing DELTA helped me get into teacher training and that is something I have been interested in for a long time. There weren’t really any downsides as such but doing Module 1 online was my first such experience and it took me a few weeks to get used to the layout and the features of the LMS (ITI uses Moodle). Even though there were lots of ‘what to do first’ sort of guidelines, in the beginning I still felt like I didn’t know what I was doing and that took some getting used to. After reading about DELTA I thought Module 1 would be the most logical place to start since preparing for the exam requires you to read up on so many areas in ELT and it did work out that way. I feel that all that background reading and answering exam questions, especially the ones about the purpose for textbook tasks and the assumptions underlying the design of the tasks set me up really well for designing my own course in Module 3 and writing detailed lesson plans in Module 2. Doing an online course helped me do things in my own time, although having deadlines also kept me on task. One great thing about the course that ITI Istanbul offers is that when the time comes to register for the exam, should you decide that you are not quite ready yet, you can enroll in the next online course free of charge – and that is exactly what I did when I realized I needed more time to prepare. As for Module 2, I feel like doing some of the course work and background reading before the intensive part of the course really helped me feel like I was slightly ahead of the deadlines and removed some of the time pressure. Do your background reading BEFORE the course, regardless of whether you are doing Module 1, 2 or 3. There is a lot of recommended reading and I feel like it takes a few times of reading the same information in different sources before everything truly sinks in and the overall picture forms in your head. Also, the more you read, the easier it will be for you in the following modules to go back to the books you read to look for specific information. Similarly, for Modules 2 and 3, start thinking of your specialty/LSA and EPA (experimental practice assignment) topics early on so that you can start gathering materials and ideas even before the course starts and start taking notes and making bookmarks! I actually did get a do-over when I enrolled for the spring Module 1 course, realized I should have started reading about the exam and doing the background reading much much earlier so I started reading and re-enrolled in the course the following autumn. Online Module 1 and 3: Probably 5-6 hours. I did the majority of the more ‘productive’ work over the weekend – e.g. actually sitting down to write assignments or lesson plans or doing practice exams, and during the week I did some reading in the evenings or studied with index cards. Blended Module 2: The online part was similar to the above, and the face-to-face part was non-stop studying. I did take some walks in the evenings and had a few outings with fellow DELTA-ers, but I didn’t get to see that much of Sofia, which I regret. 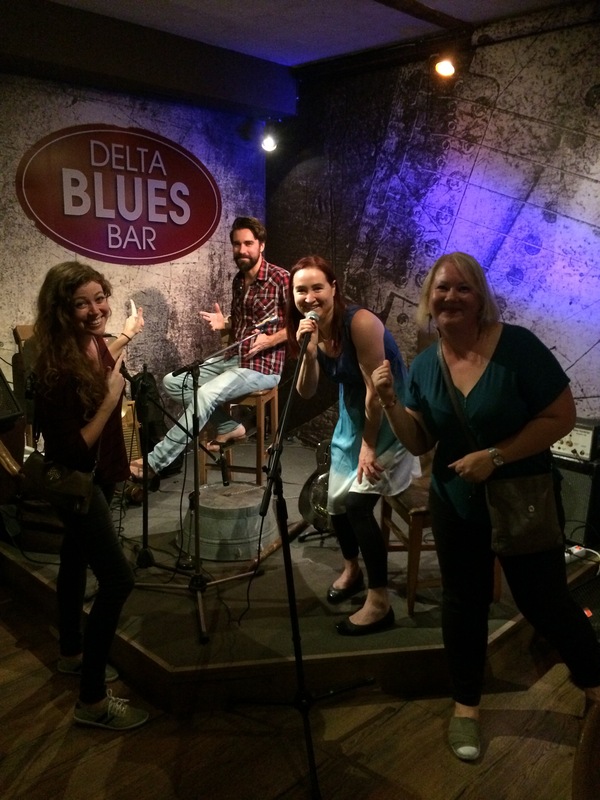 A funny detail – during one of the nights out we found a Delta Blues Bar! DELTA blues! Naturally, we proceeded to take dozens of photos and tell everyone what a coincidence it was but, nobody but us was very impressed.